CHAIN FREE and with views of Carisbrooke Castle and the charming local church. Three bedrooms, two bathrooms, low maintenance garden and a 26ft lounge/diner. Within walking distance of Newport's bustling town Centre. Full of character and period features, in a lovely setting and highly sought after location. A characterful cottage set in the heart of Newport, walking distance of the High Street and easy access to the island's main cycle track too. 2 Double bedrooms and 2 reception rooms giving plenty of living space, perfect for a buy to let investment or first time purchase An amazing rear garden space which will certainly surprise any viewers, great for anyone with green fingers to get stuck into. Deceptive chalet bungalow, set within a large, mature plot with a range of outbuildings. Spacious accommodation comprises two reception rooms, kitchen, conservatory, bathroom, 2 bedrooms on the ground floor and master with en-suite bedroom on the first. A stunning three bedroom, family home located in the Village of Wroxall in a quiet cul-de-sac. The kitchen/diner includes a washer/dryer, oven and American fridge/freezer. Benefits include a 17ft lounge, 2 double bedrooms with built in wardrobes, a single bedroom, bathroom, rear garden and a summer chalet. Also benefitting from off road parking. Pets considered. A modern, beautifully presented and immaculately maintained three bedroom family home. With two parking spaces and a garage too! Offered to the market ‘chain free’ and ready to move straight into. AGENTS COMMENTS A beautifully presented and immaculately maintained, modern family home which is offered to the market chain free! This stunning, three bedroom property comes with the added benefit of two parking spaces plus an additional garage for any prized possessions. A recently built home which still has remaining years of an NHBC warranty, meaning those looking for a low maintenance, easy living will love just being able to pick where to put the furniture come moving in day! The sunny, South West facing rear garden even has AstroTurf providing a great place to host summertime BBQ's. Stepping inside, the property benefits from super decorative order, an upgraded kitchen plus a large open plan lounge/diner which is great for entertaining family and friends. The downstairs also has a handy cloakroom/WC. 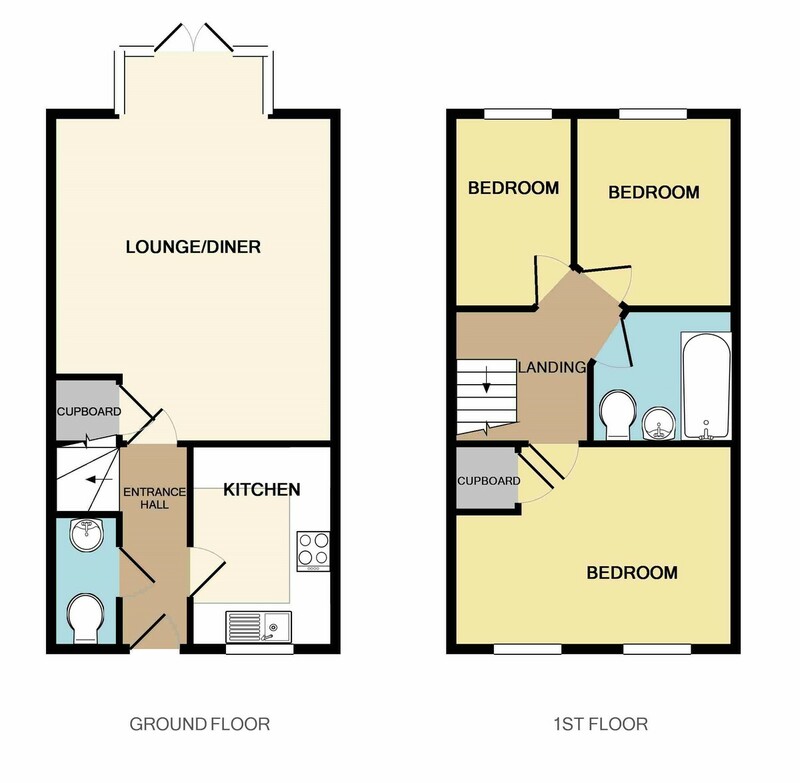 As you head to the first floor, you'll find three superbly presented bedrooms plus a bathroom to compliment perfectly. This home is situated within easy reach of East Cowes and you'll also find easy access to some stunning local countryside too. Offered to the market 'chain free' so make sure you book a viewing today!